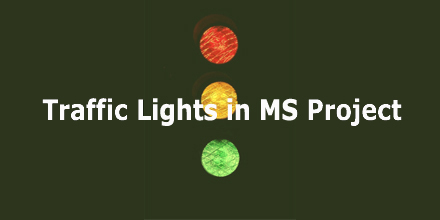 Description of how to add traffic lights to MS Project. 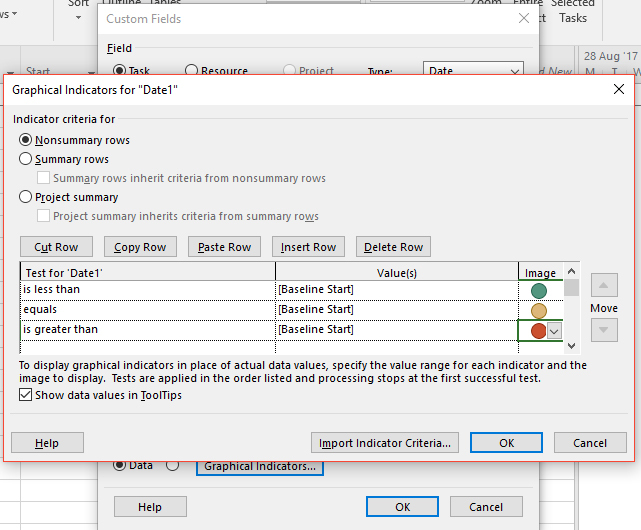 Microsoft Project Indicators. I believe that this method will work in previous versions of MS Project because I have used it for many years! 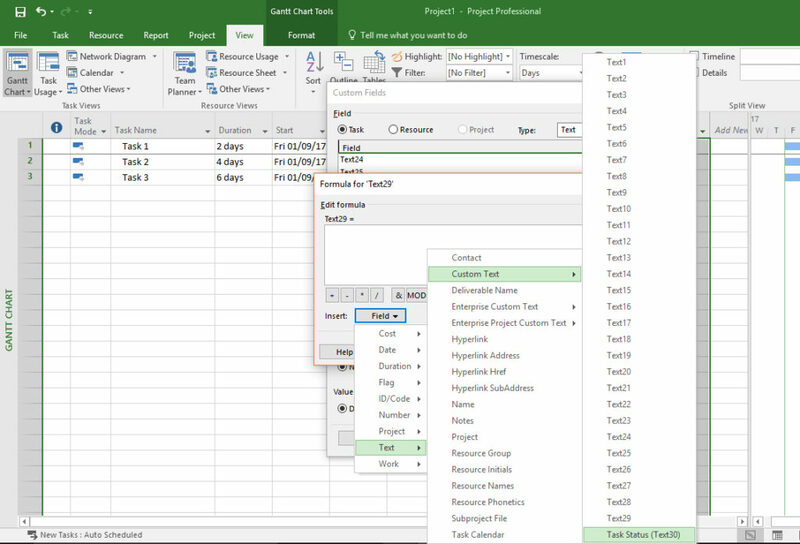 I have many Microsoft Project blogs and videos! Just follow the links! I am going to suggest two different methods for achieving this. An easier method first, but not one that I believe to be the correct method if you are using MS project properly. The second method requires a baselined project. This method is easier because it does not need the project to be baselined – something that people don’t like to admit they misunderstand. However, it does require a manual status input on every task – and although this is not a bad thing in itself, if you have many hundred tasks it becomes time consuming. In a new project, create three automatically scheduled tasks. I’ve given them different durations for variety! Insert a new field Text30 (Text 30 is suggested as Text1, Text2 are often used first). Use “Look Up” in Custom Fields to constrain the information that can be inserted in these fields. 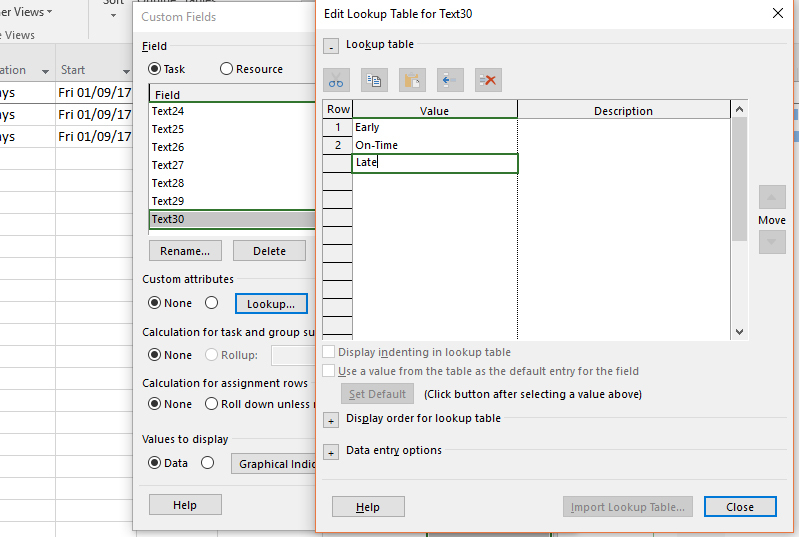 Tip: You can use this “Look Up” technique with other Text fields for many reasons – text fields for set suppliers, contractors etc. 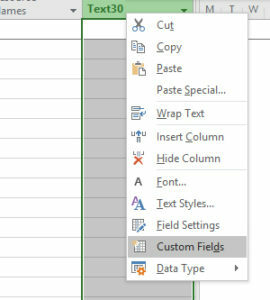 Rename the field to be “Task Status” (Status cannot be used as it is already a pre-defined MS Project database field). Now you can set each task to show a different task status. Now add a second new column (Text29) (I renamed this to “Traffic Light”) and by using Custom Fields set its formulae to equal Text30. Use the Custom Fields to set the graphical indicators for Text29 as shown below. By changing the new “Task Status”, the graphical indicator “Traffic Light” now changes. A good project is baselined, and the MS Project database will hold values for planned (baselined) start and actual start dates for each task. A reminder on baselining is covered in this blog article. Therefore it is unnecessary to manually determine each individual task status as shown above. However, MS project is just a computer. Looking at each task individually, and considering the resources, dependencies, and risks is benefit a human can bring to the planning party! Using the same sort of method as above, we are going to take a similar project and baseline it, and then compare the actual and planned Start dates. First create a project, and set the baseline. 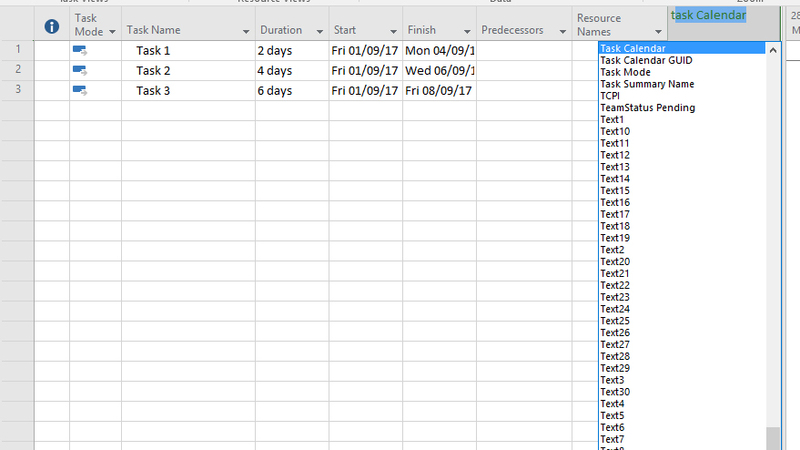 Change to the Variance Table and add a custom field Date1 and set the formulae to be equal to Start. I’m using the variance table because it will show the Actual and Baselined Start columns. Set the graphical indicators to show a graphic if the Actual Start is less then, equal to, or greater than the Baseline Start. 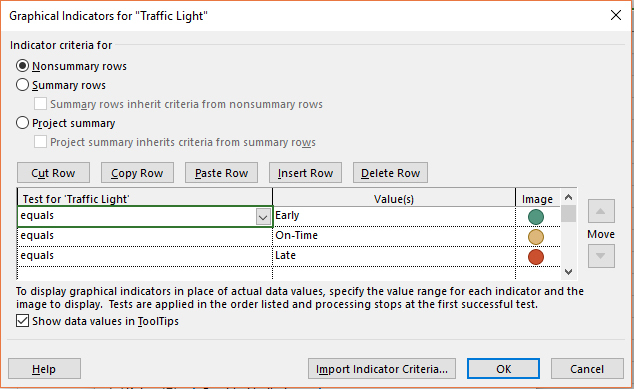 The result should show Traffic Lights – Microsoft Project Indicators – that change when the actual start dates for tasks change. 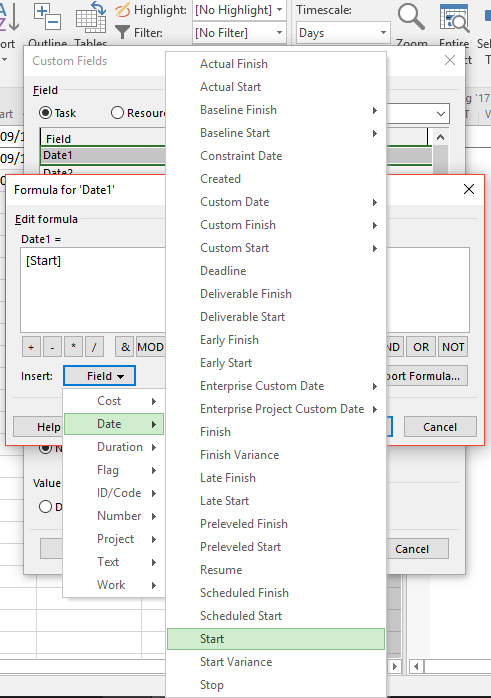 Tip: You can also use this technique on Planned and Actual Finish dates or other MS Project fields. Tip: You can now use “Sort” and “Filter” to bring all the late tasks together for easier reporting. However you do this, a visual indicator is always a good thing. Automation is good, but human input is always required. Please remember that you are the Project Manager, not MS Project!